Life is sweet. But if accompanied by diabetes, it become bitter to live with. The Diabetic Association of Dr Jivraj Mehta Smarak Health Foundation (Dr Jivraj Mehta Hospital) strives to infuse hope and peace in even the most severe diabetic cases. Diabetes or high blood sugar is not at all that fatal by itself. The consequential damages caused to nerves, legs, foot, heart, eyes, kidneys and pancreas is what makes diabetes actually lethal. Therefore, ‘Not only treatment, prevention too’ accentuates the motto of the team to fight this distressing disease. 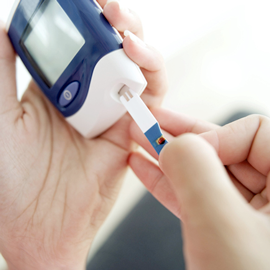 Diabetes is one of the most widely spread diseases in the world. Though it’s not fatal by itself, it can cause severe damage to nerves, legs, foot, heart, eyes, kidneys and pancreas. The Diabetic Association of Dr Jivraj Mehta Smarak Health Foundation (Dr Jivraj Mehta Hospital) strives to infuse hope and peace in even the most severe diabetic cases.